Mega Man X Legacy Collection 1+2 is launching soon (July 24th), and the PlayStation 4 Trophies have been revealed. You can find Legacy Collection 1's Trophies here and Legacy Collection 2's here. Each collection has 1 Platinum, 1 Gold, 13 Silver, and 38 Bronze to earn. That's 53 Trophies per collection. By the by, there's a few interesting descriptions that are worth checking out. This Trophy, "Another Day, Another Recon"/"Reconnaissance Complete" implies there's a secret image hidden in the art gallery. We all know what happened the last time Capcom threw one of those in, yeah? And who knows what's going on with these, "Identity Erased/"Defrag Complete". The description reads, "Blast through the mystery of the staff credits and return to the future." This could be interesting. Also, we have confirmation that the secret Cut Man fight in Mega Man X8 remains intact. You earn the achievement "DLN.003" when you beat him. The conditions to unlock the fight aren't know at this time, but it's likely a button combination. I'll look for it in my review. Mega Man X Legacy Collection 1+2 is due on July 24th on PlayStation 4, Xbox One, PC, and Nintendo Switch. Thanks, Reploid21XX! notice a bunch or armor recolors and new art i've never seen done officialy in them trophies, like the ultimate armors and black zero. looking forward to these plats. I can't wait to get those for PS4 version. I have a Nintendo Switch too but I prefer 2 discs so I choice PS4 instead. Japan version and maybe UK version. Can't wait! Wasn't the Cutman fight when you complete all challenges in Optic Sunflower's level at their highest difficulty? In the PC version (and probably this version as well) yes. In the PS2 version you could fight him if you had save data of Command Mission. Cut Man had two possible triggers. One was having a Command Mission save on your memory card, the other was a button code on the title screen. I can confirm what KingJackel said; in the PC version of X8, beating all the challenges of the Troia Base stage as quickly as possible (which unlocks the hard mode versions of challenges beyond the first one) will unlock the fight with (retro) Cutman. So, that might be how it'll work, in the collection version. Will X6 LV4 Nightmare Zero quirk be be fixed this time? Given the revealed achievements I'm more curious to know it. Yes, good. Feel achieved that you've dumped hours of your life into grinding for Nightmare Souls. Also, "Who Rescues the Rescuer?" Hah! Good luck. I've done it. It's, somehow, even less fun than doing it in the previous game. But, aside from those and the "do this thing that you'll probably do, anyway" ones, I kind of like these trophies. I've done Rescue the Rescuer once myself, and it was a nightmare. I think the worst stage was Flame Hyenard's with all the bombs. just watch. the secret image will have only 3 words. Except he shouldn't be. Capcom aleady commited in X8 that it was Sigma's last hurrah. If they do an X9 the villain should be different aa they bridge into Zero. Not once was it ever said that X8 would be Sigma's last stand. It's literally just fan speculation. 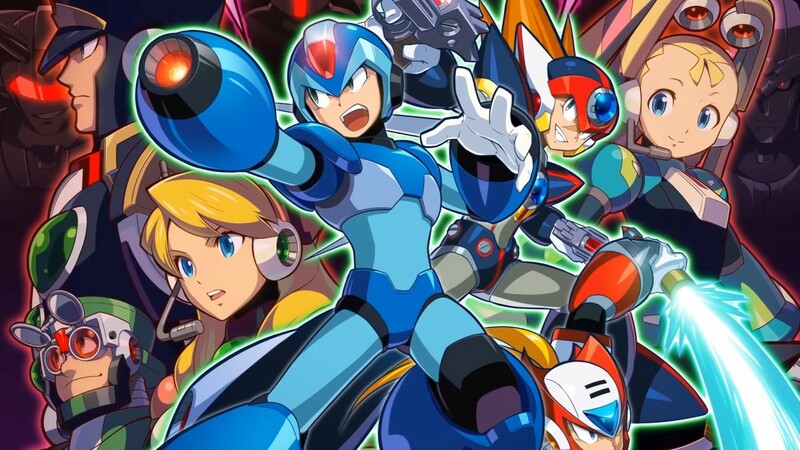 Saying Sigma shouldn't come back in X9 is like saying that, in MM11, Wily should be replaced by Sergeant Night. sigma shouldnt come back. he has to retire to bridge the stories of x and zero. since he got scrapped and sidestepped in x8 nows the time. Sergeant Knight? Come on man its not that bad maybe at best not having Sigma would be Ra Moon by himself or an absence of a villain all together. But Sergeant Knight is a bit much, even a Dark Man lead game maybe... Sergeant Knight? Have shame. "since he got scrapped and sidestepped in x8 nows the time." He gets scrapped in every game he's ever been in. And now's not the time, people haven't had MMX in a long time, the people want MMX not Shrap's experimental night out on the town. A few things to keep in mind. Based on the Zero series canon, the Sigma virus was eradicated by the mother elf. So if they go by that, we know the virus is around after X8. Based on what I can gather, it seems that Lumine's generation of Mavericks do not operate based on the Sigma virus necessarily, but on Sigma's DNA. So while they took center stage in X8, we know that the virus, and thus Sigma, isn't gone for good. This could all change of course. But based on the information we have, I am quicker to believe Sigma will be back. The series has been on hiatus for almost 14 years, so I'd imagine they aren't going to be held back too much by X8's happenings. To this day I will never understand why people want each series to end so badly so they can "connect" to the other series. First it was "Mega Man 9/10/11 needs to connect to X!!" And now we'll get "X9 needs to connect to MMZ!" "To this day I will never understand why people want each series to end so badly so they can "connect" to the other series. For me personally, I would just like to see and play the Elf Wars. It's the most earth-shattering known war in the whole Mega Man timeline, and we haven't gotten to take part in it. Besides, there's a century between the Elf Wars and the Zero series; there are plenty more stories they can tell in between without actually "ending" the series. We just wouldn't be able to have Zero's involvement, since he was locked away. I just want closure before X gets shitcanned again for another decade. What a catastrophic concept. We'll be lucky, damned lucky, to get one more. X isn't like classic in its story telling at all. So lets wrap it up. At the very least no cliffhangers. "If they do an X9 the villain should be different aa they bridge into Zero." Hopefully not bridging into Zero. Gameplay-wise the Zero series is okay, but the story in the Zero games is atrocious. I especially detest the way they treated X in the Zero series, letting some loser destroy his body like that. Also, the whole dumbness with Dr.Weil's character. Honestly, I'd rather see nothing directly related to the Zero series in the X games like the Elf Wars and what not. All the edginess of it was too much, even the X series wasn't that bad at being edgy. "So lets wrap it up. At the very least no cliffhangers." Why should that happen? I don't really see what is the appeal of wrapping up the series, quite the contrary. Wrapping up the X series would go against more X games, which is what I want in the first place. It isn't like the X series is that heavy in the story telling. The story was never really an important factor. Good gameplay for new X games is what matters, the story is an afterthought. No reason to wrap it up, that would just be prejudicial and really wouldn't bring new games at all. I think you are a little irresponsible with this article setting up people for a big disappointment. Mega Man 11 is not out yet and they are going to announce or tease X9 before even knowing how 11 and the X collection sold?. I don't think the Capcom execs will greenlight the game this soon, the development team is using the X collection to measure interest, something that they may need to get the execs on board. I hope I'm wrong and they tease X9 this soon but I can't help to be septic. I'm expecting just a nice pic. Theres at least one pic of the ultimate armor shown in trophies we havnt seen in its entirery, i don't think. You don't really understand what you are talking about. There was a secret picture(actually from MM11) in the Megaman Classic Collection, it just didn't have achievements like now with the X Collection. There is a precedent, so you don't really have a point at all. I don't dislike cynicism, but only when it isn't blind. Just having a secret picture here doesn't mean anything was greenlight, it just would be neat so stop making your own assumptions on Protodude's words to attack a strawman of disappointment that's really only in your head and no one else's. It's actually going to happen. After all these years. It might just be special Anniversary backgrounds and a special anniversary track. But man those titles tease that it's not. Maybe it'll be just like in the PC version of X8. Just get an A Rank in every segment of Optic Sunflower's level and you unlock the Cut Man fight. Okay.. The trophy things doesnt mean anything to me.